Integrating VWO with your Magento will let you create and run any VWO test on your Magento store. 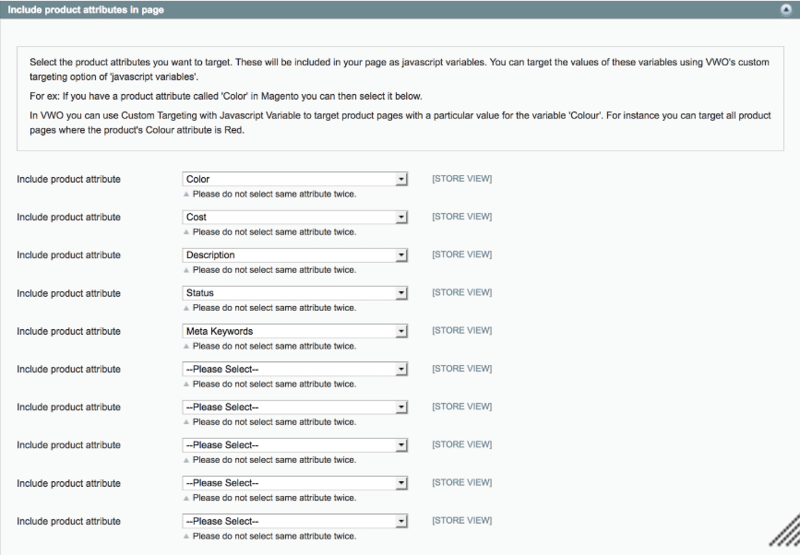 Open the Magento website and then search for VWO Extension, using the search bar. Click Install Now to get the key for activating the integration. You must be signed in to Magento to view the key. To copy the extension key on your clipboard, click Select Key. Using admin credentials, sign in to the Magento dashboard. 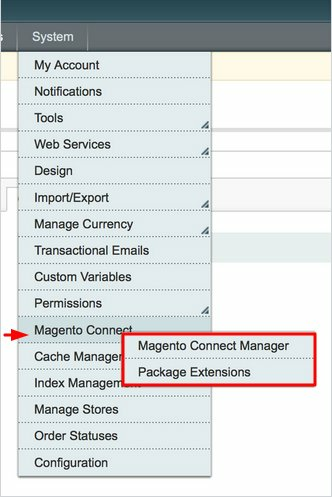 From the menu on the top, select System > Magento Connect > Magento Connect Manager. 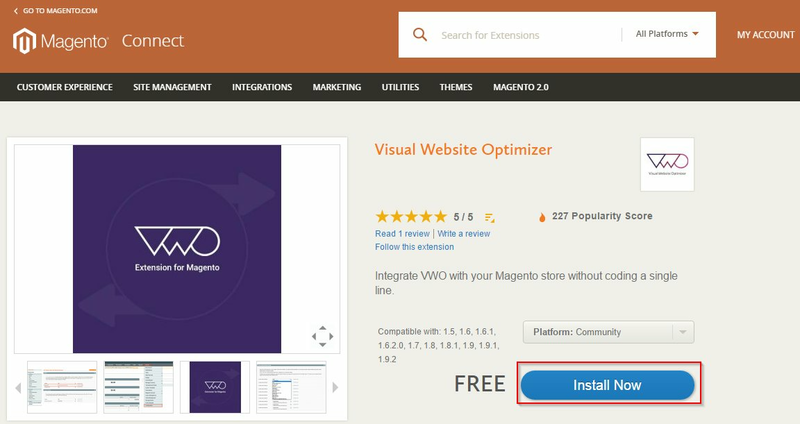 On the Magento Connect Manager page, in the Paste extension key to install text box, paste the VWO extension key you copied in Step 3. 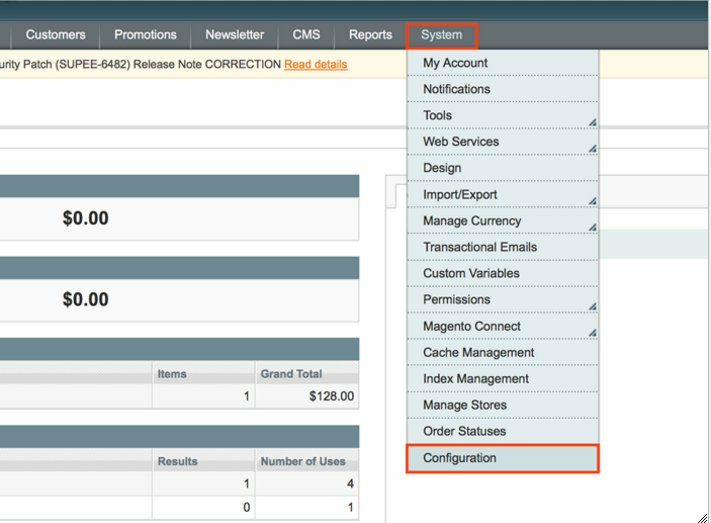 On the Magento dashboard, using the menu on the top, select System > Configuration. The Configuration page appears. Under General, in the Account ID text box, type your Account ID. Under Revenue Tracking, in the Enable drop-down list, select Yes. Next, in the Revenue Value Type list, select the revenue type you want to track. 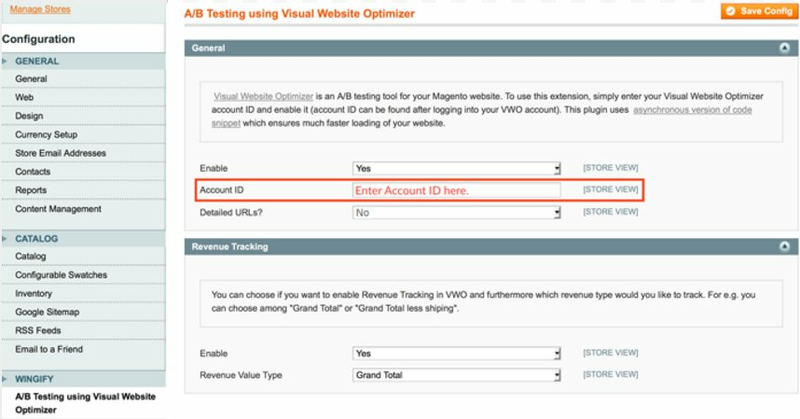 You can run the VWO test on your Magento store now. With the Revenue Tracking option available, VWO will also track the revenue on the webpages of your store. Typical examples of product attributes include price, color, product type, and other attributes. In the Include product attribute drop-down list, select the attribute you want to target. By default, the integration passes “Type,” “SKU,” “Name,” and “Price.” In addition, you can select up to 10 attributes to be passed through this integration. Why Should You Go for Advanced Targeting? 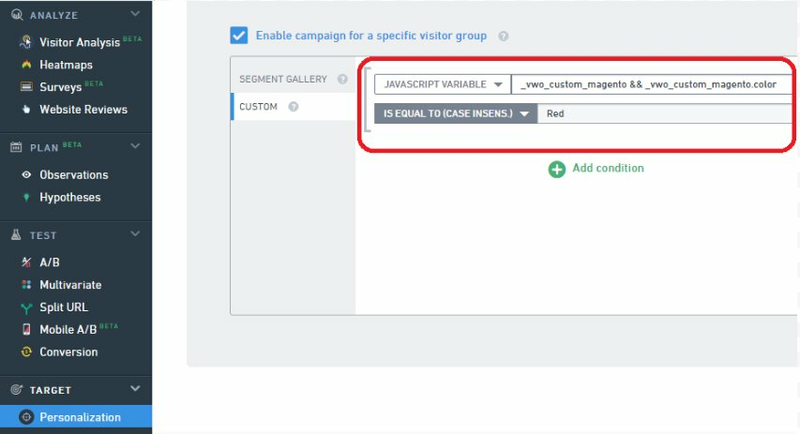 Using Advanced Targeting via product attributes, personalize the user experience on the product pages, because it helps you to create a custom targeting test within VWO. How to Use Advanced Targeting in VWO?